So I have a problem with the game Dragon Ball Z Budokai 3. My sound lags even though I have 60 fps. did you enable any speedhack ? No, everything is on default. Givre spu2x a shot, then. 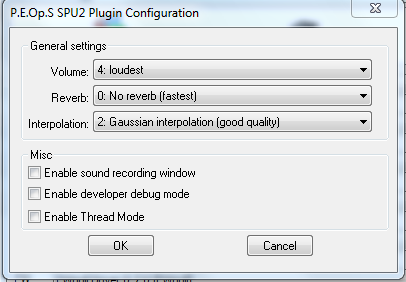 Tried other plugins, they either gave bad sound, no sound or good sound but with a beeping noise.